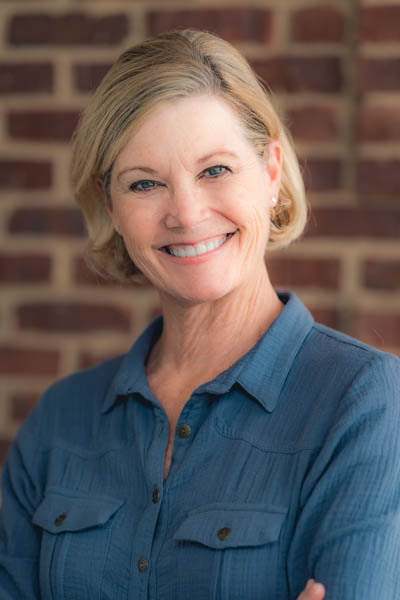 Dr. Elaine Whitney opened her exclusive practice of orthodontics in Sugar Hill, Georgia in 1989. Prior to that, she graduated with top honors from Case Western Reserve University with an undergraduate degree in nursing, and then went on to Case Western Reserve’s School of Dentistry where she graduated in the top two percent of her class. She then pursued her specialty training and master’s degree in orthodontics from the Baylor College of Dentistry at Baylor University in Dallas. Prior to starting her practice in Georgia, she worked for several years as a civilian orthodontist for the U.S. Army in Frankfurt, Germany. Dr. Elaine is married to fellow orthodontist and business partner Dr. Jim Whitney, and in addition to their common interest in teeth, they have three children- Meg, Elise and Carolyn. In her spare time she enjoys pilates, reading and traveling. Over the years Dr. Elaine has treated thousands of children and adults, and has enjoyed getting to know her patients and their families. She considers it a great privilege that so many have trusted her with their smiles!